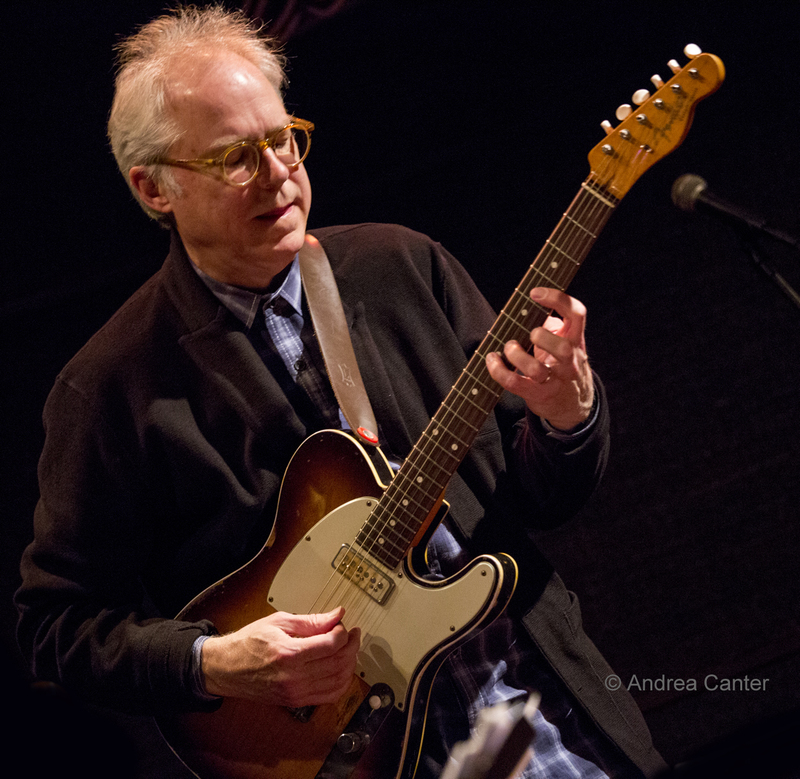 I actually walked out of a Bill Frisell concert (at the Walker) once upon a time. It was just too outside for me. Not sure but I suspect I would stick around if the same music presented itself now. I’ve enjoyed everything I’ve heard from the eclectic guitarist ever since, from a quartet with cellist Hank Roberts to a quartet with trumpeter Ron Miles to his “All We Are Saying” (Lennon project) ensemble to a stunning solo evening this past February at Macalester. But most of all, I am most drawn to his Beautiful Dreamers Trio with violist Eyvind Kang and drummer Rudy Royston, a Classical Jazz meets Americana, Copeland Meets Metheny Meets Monk-ish project that induces reverie and joy. Maybe part of the magic is opting for viola over violin, giving the harmonies and string currents a richer glow. Last night was my third exposure to this trio (including two shows at the Dakota and one demo at MacPhail), and each time, the music sweeps me away into a sonic world where the distinctions between bebop, bluegrass and modern classical music blur into ambient chords and swinging polyphony.